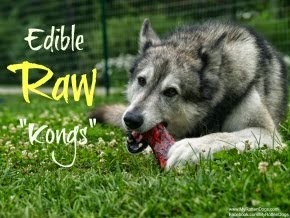 Big surprise, but I feed my dogs a raw diet. 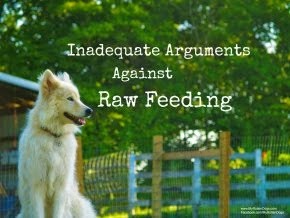 As a raw feeder, I try to follow the "less is more" mindset when it comes to supplements for my dogs. The only supplement all three dogs regularly receive is fish oil, and Neeko also gets turmeric. When considering whether or not to try Rejeneril with Neeko, I asked a few questions. Is it shown to be effective? Will Neeko even take it? The first two questions were quickly answered by a visit to the My Ultimate Pet website, and Neeko answered the third question herself. 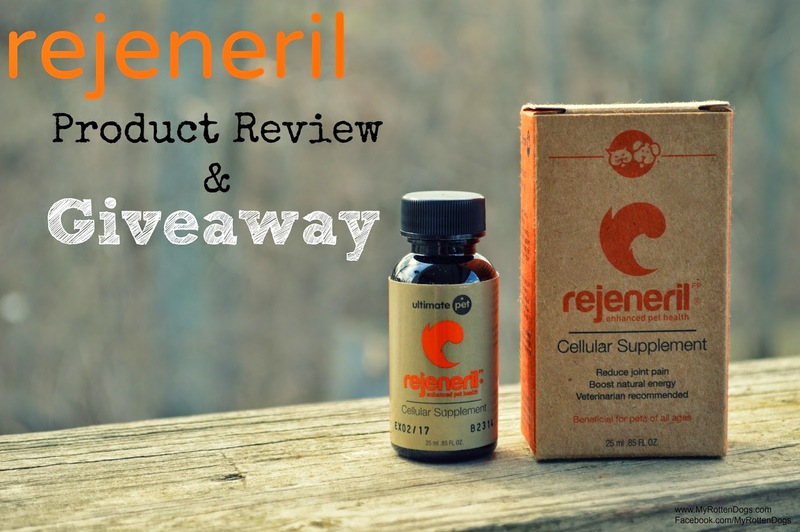 Laboratory studies have shown rejeneril to be safe at 900x the recommended dose, it is made in North America, and contains no ingredients sourced from China. It's active ingredients have been proven effective in studies, and customer testimonials don't lie. Although Neeko just turned five, her hips have bothered her since she was a very young dog, and this saddens me. Some days she seems quite stiff and/or sore. The princess is always willing to go on adventures, but I can tell at times she is tired or sore. Because of this, I do all I can for her, including limiting high impact activities, keeping her lean, feeding a raw diet, and reducing inflammation with the use of fish oil and turmeric. 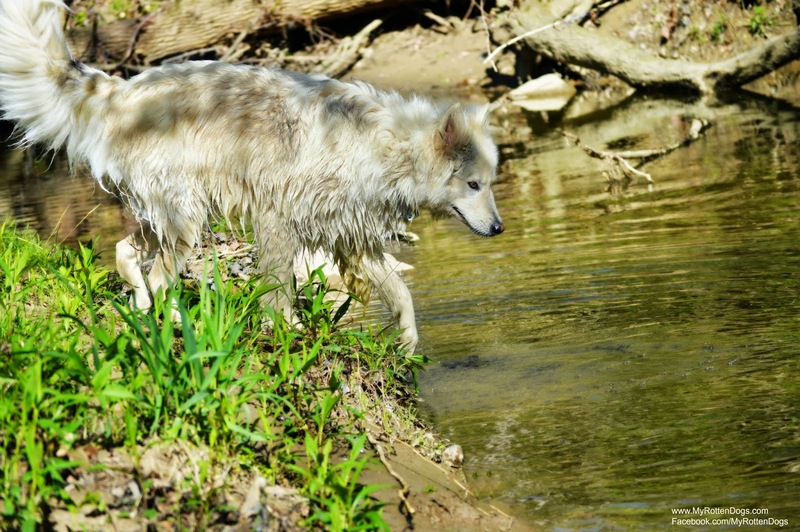 Other than her joints, she has no chronic health issues, and her skin and coat are in great shape. The Rejeneril arrived about a month ago. It is in a bottle designed to protect it from light degradation, and includes a standard lid, and an eyedropper lid. Dosing is easy, and based on weight. Neeko received 17 drops daily. The princess can be picky. In the past she has refused to eat her meal if something added to it did not meet her expectations. Rejeneril is a thin, dark liquid with a slight "vitamin-y" smell to it. I gave her the recommended dose daily, over either her breakfast or dinner. Rejeneril over ground green tripe. One thing I did notice-when given over a chicken leg quarter, the liquid slid to the bottom of the bowl, and Neeko did not lick it up. Otherwise, she took it no problem. It works best when served over ground meat, mixed with a raw egg, or over reconstituted dehydrated raw. Within 10 days, I noticed that Neeko was much more willing to run and jump, seemed less stiff, and there was a noticeable increase in her overall energy and activity levels. The energy and activity increase came as a surprise to me. This girl notoriously hates temperatures over 75 F, and becomes quite the slug when it's too warm out. The temperature here has been rising, and she has yet to become her typical Spring/Summer lazy self. I am not complaining. Running is usually something the boys do. 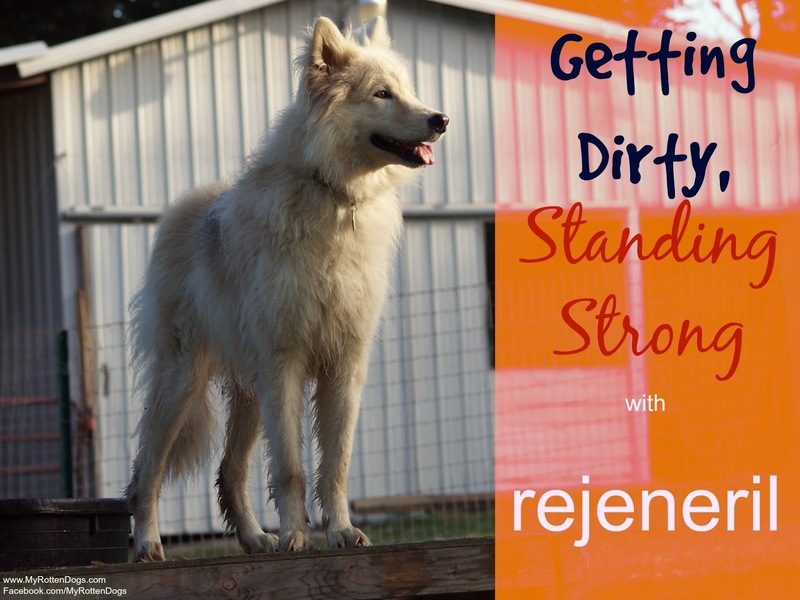 I am quite pleased with this product, and would confidently recommend it, to any dog owner looking for a supplement to help with vitality. My girl definitely has more pep in her step, seems more comfortable, and more energetic. Readers, please enter our giveaway. One lucky duck (or human) will win a FREE bottle of Rejeneril® valued at $44.99! Keep an eye on your inbox as the winner will be notified by email. But if you can’t wait to find out if you won, take advantage of a 15% discount by using the discount code MyRottenDogs15 when you place your order at My Ultimate Pet. This post is sponsored by My Ultimate Pet, but all opinions are my own. I am hosting the giveaway, but My Ultimate Pet is responsible for the giveaway. It's funny how often I see new supplements for pets come out and I brush them off because I feed raw. Why do I need a supplement? But we also have seen amazing results from Rejeneril. The drops absorb right in to the raw patties I routinely feed and everyone has been healthier. 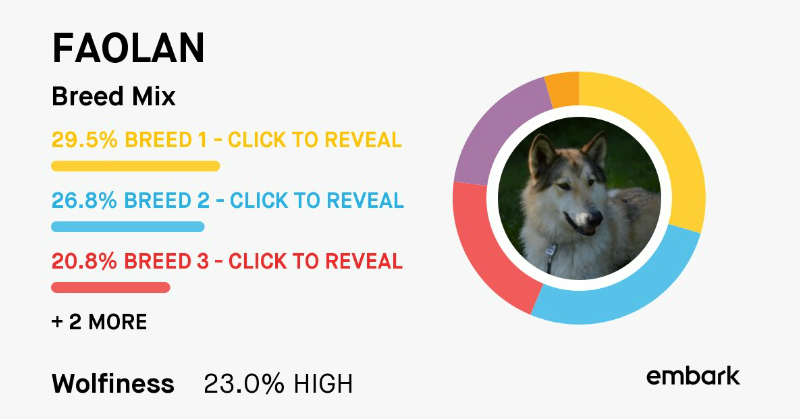 I'm glad the results were the same for your pack too! I'm glad it worked for you! I noticed that Zoe had more energy when we tried it. We had great success with Rejeneril as well. I noticed a difference in Mika during the time we gave it to her.